Previously the award-winning Affresco restaurant, this beachside favourite is set to reopen under a new name and run by a new team. Brighton Beach Club will reopen towards the end of November, bringing with it a complete refurb as well as a brand new menu. City Pub Group, who also own The Walrus Pub and others in the south, have taken over this venue from the Colasurdo family, who donated all the food and furniture from Alfresco to charity before handing over to Brighton Beach Club. 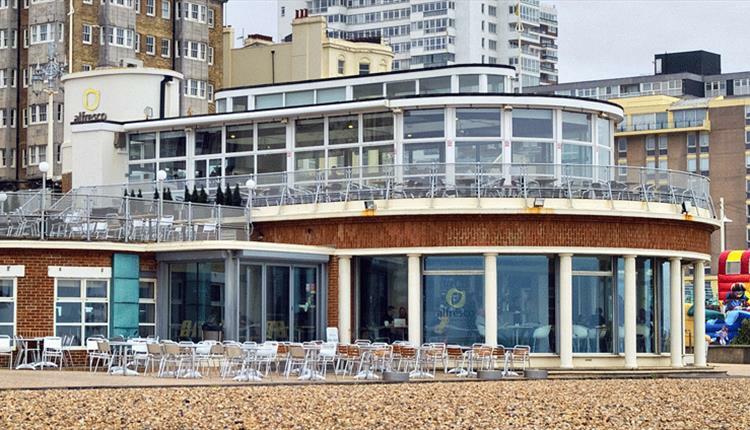 After over 20 years at the restaurant, customers will be happy to hear some long-reigning staff are staying on to join the Brighton Beach Club.